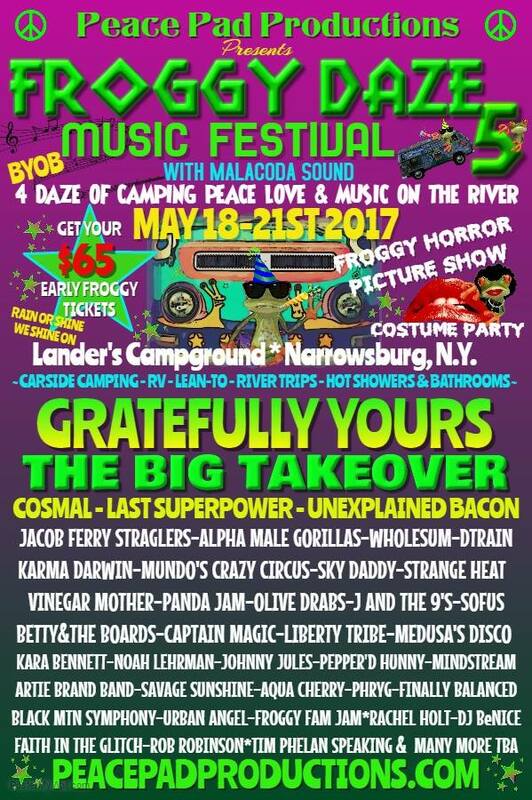 Join The Mindstream for 4 Daze Of Peace, Love, Music, & Camping On The River! Featuring more than 40 bands! A disc golf tournament! Late night jamz! Community drum circle! Yoga! Food and craft vendors! And more!